Older Americans Month, an annual observance of the contributions of older adults, began May 1. 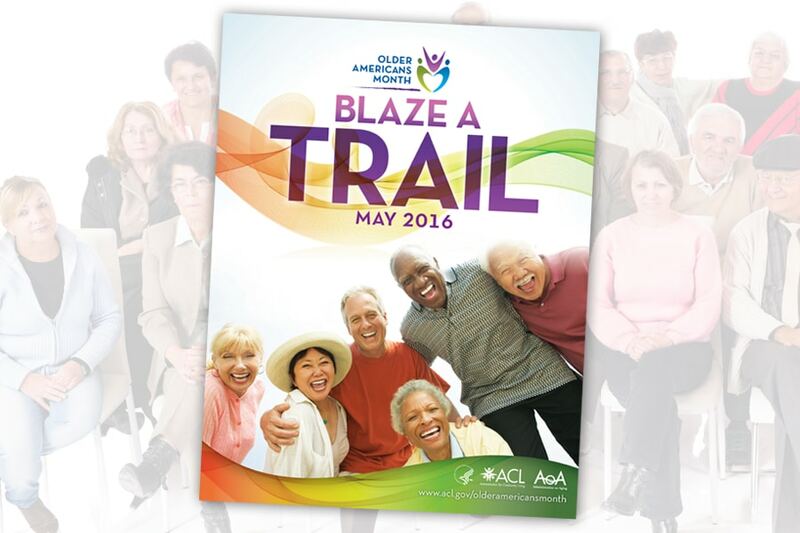 This year’s theme, “Blaze a Trail,” reflects the way older Americans are reinventing themselves and making positive contributions to their communities. Postal Service employees are encouraged to spend time in May focusing on how older adults lead and inspire others and how you can learn from them. Older Americans Month began in 1963. The annual observation is led by the Administration for Community Living, which is part of the Department of Health and Human Services. The Blue Multicultural Resources site has an Older Americans Month resource kit, while the Administration for Community Living site has posters, logos, event tips and other information. This entry was posted in General Union Business, Retiree Business and tagged Administration for Community Living, Blaze a Trail, Department of Health and Human Services, older adults, Older Americans Month, Retirees. Bookmark the permalink.